Feel fresh from the shower clean. Anytime. Anywhere. There is nothing quite like the clean smell of freshly showered skin, especially when a pure, unscented soap is used. 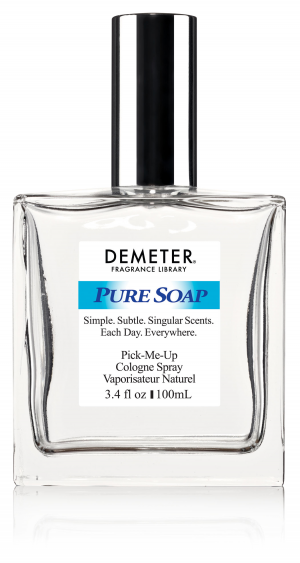 Demeter's Pure Soap is inspired by the scent of skin freshly scrubbed with Ivory Soap - skin with just a faint trace remaining of pure soap smell, almost like a memory of the soap, rather than the soap itself. Demeter's Pure Soap is a subtle yet powerful scent, the kind of fragrance that is Pure Demeter.